Back to me, I needed an easy ride after a few weeks of feeling poorly, this was a perfect choice. Looking at the maps I realised that the trail would go near the AustralianTechnology Park which I had never gone to. I decided to try that first before heading down the usual paths that I go through Redfern and Chippendale. I am so glad I did. The tech park is so good, I would love to cruise thru that area every day. Then there are other great treats on this ride like Chippendale Green and The Goods Line and then there is Darling Harbour. This could be Sydney’s best short commute. Ok there is a few metres of Redfern station to negotiate and a busy road to ride alongside but that’s not much of a penalty. 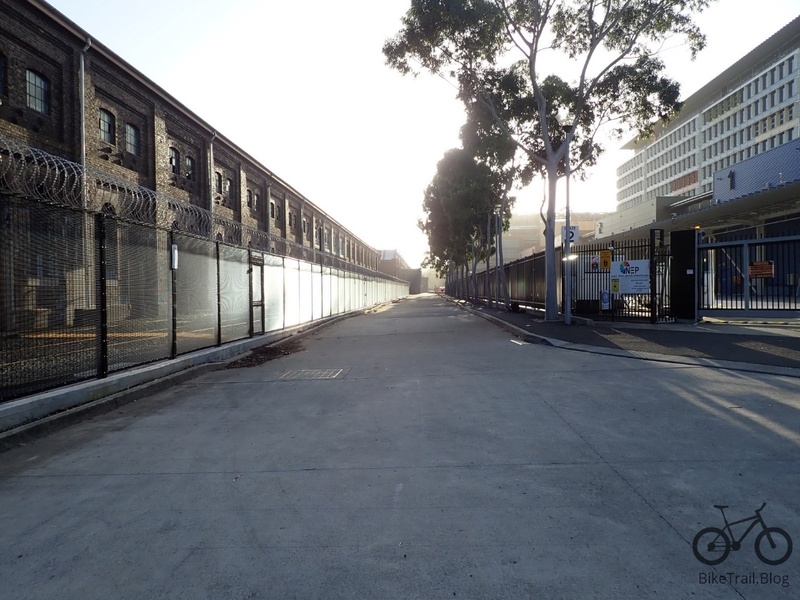 If you live in Erskineville or Alexandria and work on the Darling Harbour side of the city, give this track a go. Its now my favourite way to get to the city from Sydney Park. I headed to Erskineville Park as my starting point, it seemed quite central to Alexandria. I didn’t look at my maps at all and easily rode through the technology park, snapping away. On the way back, I went straight through Chippendale Green and retraced my ride and did the whole trail in 17 minutes on a perfect Sunday morning. I cannot see it taking much more than 20 minutes any day. I have reviewed the bus time tables from Alexandria and a good time is well over 25 minutes on a Sunday, peak hour Monday morning is worse according to Google directions. Safety Note: Take it really easy around Redfern station, lots of cars and people.